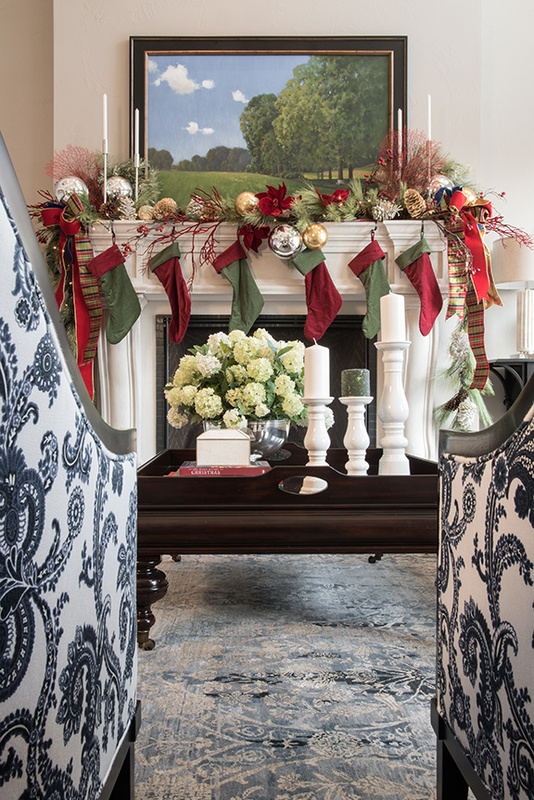 Gold, white and shocking blue are the new colors of the season for one St. Louis family. 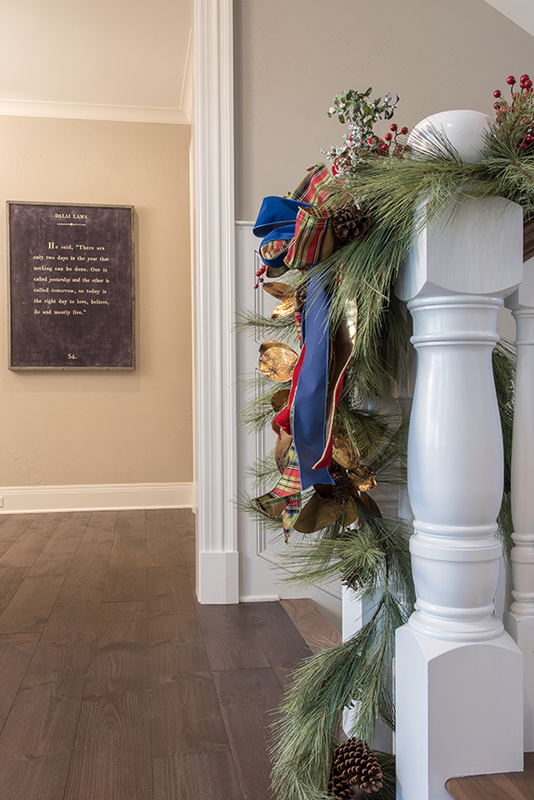 When Kevin and Keely Travers put the finishing touches to the construction of their house at Bellerive Country Club in July 2016, the traditional red and green of Christmas couldn’t have been farther from their minds. It wasn’t until months later that the fresh color palette put the brakes on the family’s first spate of holiday decorating in the new home. Travers asked the advice of designer Patti Porter of Rusted Chandelier. The trendy Kirkwood boutique is well stocked with décor and furnishings for all seasons—and Porter had lots of ideas. The Travers’s first big shock? A 15-foot tree…adorned in blue. Yes, blue. 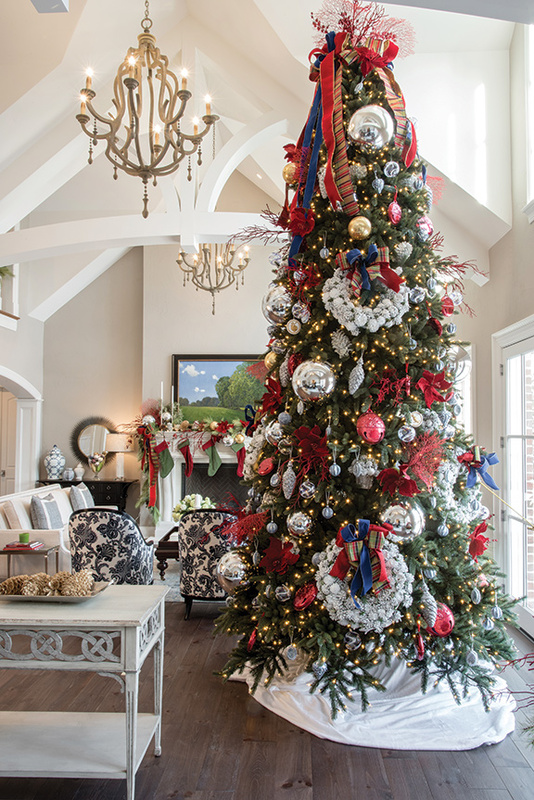 A towering tree that popped with silver, gold and blue ornaments; a large, red plaid bow; blue velvet trim with red accents; and bright coral wands that protruded from its branches. “I was so pleasantly surprised. I didn’t think I would love a blue tree,” Travers says. And what’s Christmas without garland and lights? Porter’s smart placement of garland on the stairwells and on the second-story railing overlooking the great room helped tie together the spaces. “You could just see the kids coming out on Christmas morning and looking over that overlook, and seeing the gifts under the tree.” In addition to lighting the tree, Porter judiciously lighted existing planters and the family foyer for a look that’s festive yet elegant, unexpected yet quite expressive of the holiday spirit. 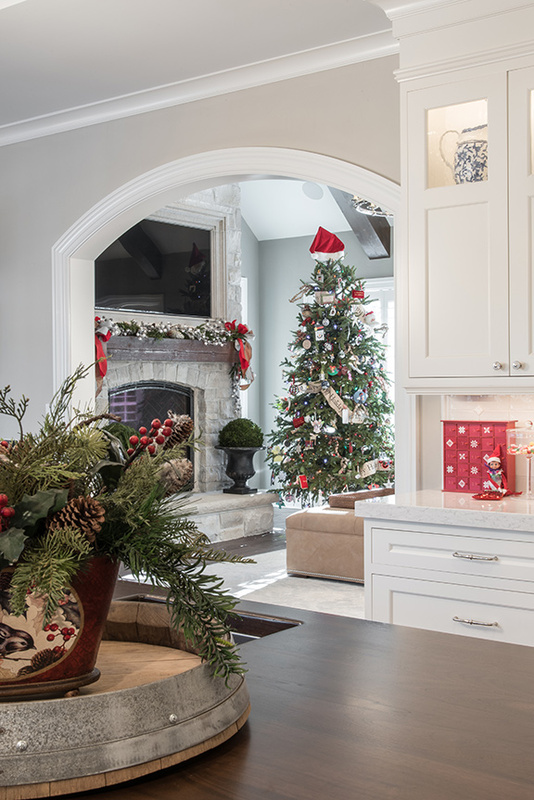 “It’s nice to be able to decorate trees and mantels to go with the room décor, and not just traditional red and green,” Porter says, adding that homeowners shouldn’t be afraid to experiment with decorations that step outside the norm.